Professor Hannes H. Gissurarson, University of Iceland and RNH Academic Director, gives a lecture at an international conference of the Economic Freedom Institute at Manhattanville College in Purchase, New York State, north of New York City, Friday 10 October 2014. The conference is devoted to The Road to Serfdom by F. A. Hayek, published 70 years ago. Seventeen academics and scholars give papers at the conference, including the distinguished monetary economist Jerry Jordan, former President of the Federal Reserve Bank of Cleveland, William Poole, former President of the Federal Reserve Bank of St. Louis, Professor Sanford Ikeda, State University of New York in Purchase, and Professor Edward Stringham, Fayetteville State University in North Carolina. 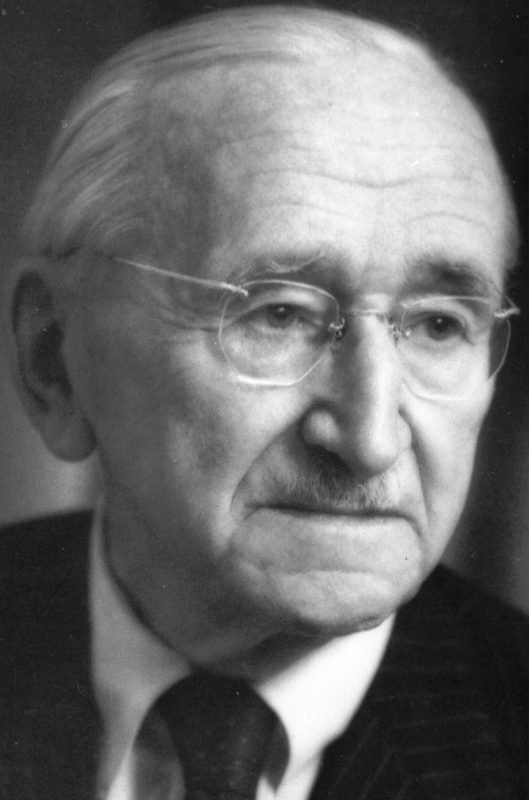 Professor Gissurarson discusses spontaneous evolution in Hayek’s sense. First, he analyses briefly three well-known examples where people can solve in market transactions what economists have sometimes wrongly considered to be public goods, only to be produced by government. The first example is from A.C. Pigou about two roads of different quality where the traffic would not be allocated efficiently between them. F.H. Knight pointed out that this problem could be solved by private property rights to the two roads. The second example is in many textbooks, including that of P.A. Samuelson. It is of lighthouses where seemingly it is difficult to confine their services to those paying for them. R.H. Coase pointed out the historical record which showed that these services had often been included in port tolls. Therefore, their services could bee privately produced and priced. The third example is the US radio spectrum, where radio frequencies are allocated by government agencies. T.W. Hazlett pointed out that in the 1920 private property rights to certain frequencies in certain areas were being developed, by court decisions in a homesteading process, but that this development had been stopped by federal law. Then, Professor Gissurarson analyses three Icelandic examples. Professor Thrainn Eggertsson has written about one of them: Grazing rights, itala, which was formed when farmers used mountain pastures in the summertime for their sheep. The pastures were each commonly held by an association of farmers in the valley closest by, but the temptation for each farmer was to add more sheep to the total number than was efficient, because the loss was dispersed amongst all the farmers, but he alone reaped the profit. This temptation was removed by only allowing each farmer to graze a given number of sheep on the mountain pastures. The second example is well known to all Icelanders. Professors Ragnar Arnason and Gissurarson have both written on it. 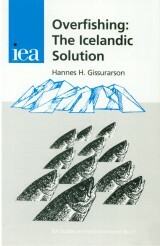 The system of Individual Transferable Quotas, ITQs, was developed to stop the over-utilisation of the Icelandic fishing grounds. The general idea is the same as in the case of over-grazing: Each fishing vessel owner gets a quota. Then the quota-holders discover in their trade of the quotas who are best qualified to harvest fish and who would be better off leaving the fisheries. The third example is of the Icelandic krona. It was equal to the Danish krone, and Iceland was indirectly a member of the Nordic currency union before 1914. But between 1922, when an exchange rate between the Danish krone and the Icelandic krona was first registered, and 1992, the value of the Icelandic krona went down to 1/1000 of the Danish krone (the krona having been replaced by a new krona, worth 100 old kronur, in 1983). Obviously, the krona did not adequately two of the three roles of money: to be a unit of account and the store of value. Therefore, Professor Gissurarson had already in the early 1980s suggested that the krona would be replaced by a harder currency, such as the US dollar. However, the market had already solved this problem by introducing the indexed krona, which was a hard currency, unlike the ordinary krona, which remained a soft currency and which could still fulfil its role of being a medium of exchange. Thus, Iceland essentially used two currencies. A cup of coffee was paid for by ordinary kronur, but long-term contracts were made in indexed kronur. Professor Gissurarson argues that the Icelandic institutions or rules of grazing rights belonging to particular farms, fishing rights defined to particular fishing vessels and the indexed krona for long-term contracts are examples of spontaneous rather than constructed solutions. They were developed in a process of trial and error, even if such solutions had sometimes to be consolidated or protected by legislation. His lecture in New York forms a part of the joint project by RNH and AECR on “Europe, Iceland and the Future of Capitalism”.